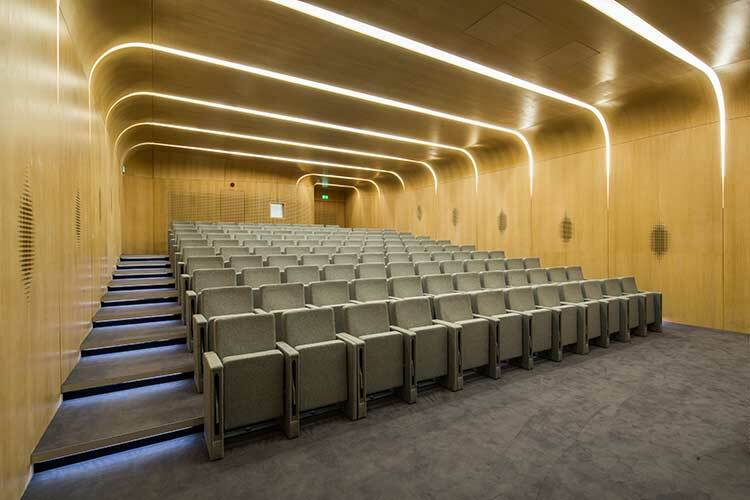 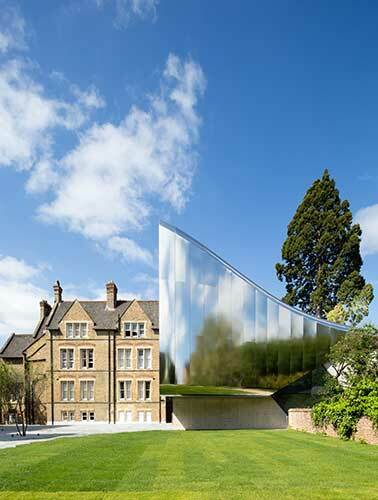 A modern addition to a Victorian building, home to one of Oxford’s oldest colleges, provided for a new lecture room which seats 120 people. 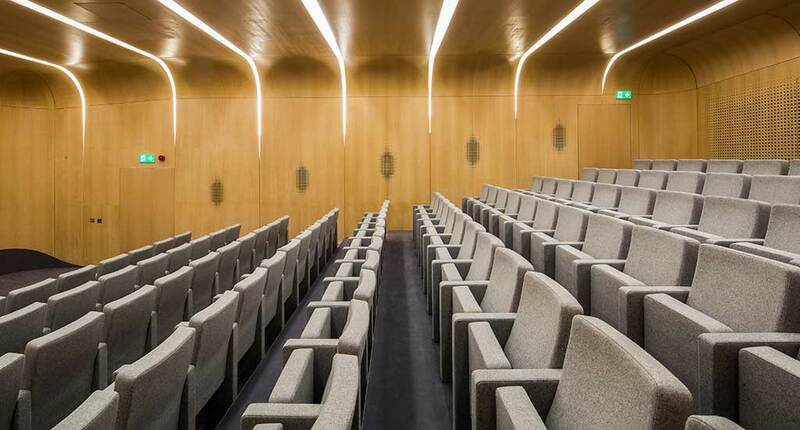 The Perseo chair by Ascender upholstered in a Camira Blazer wool fabric were supplied to complement this simply detailed wooden cladded room. 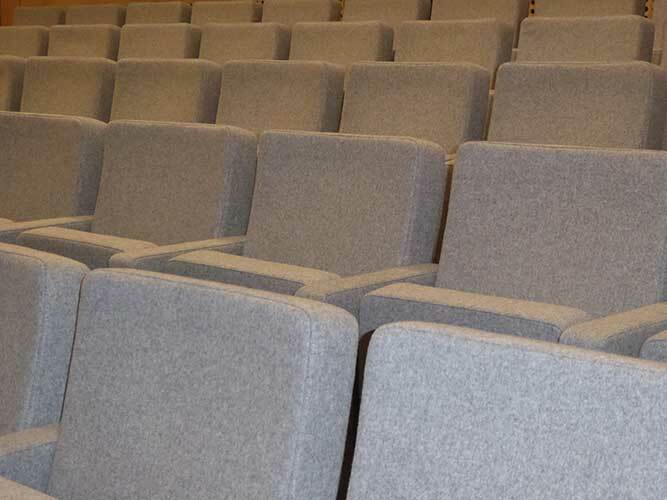 A number of the tip up seats on the front row were supplied in a removable version, reconfigurable by the in house maintenance team, to allow for wheelchair users when needed.